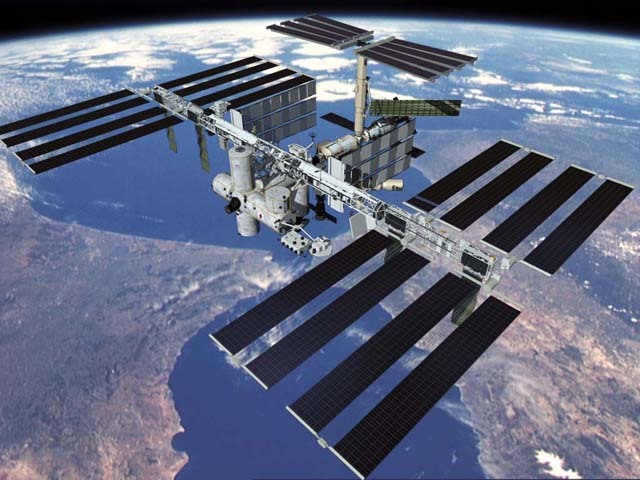 The International Space Station is being assembled by a partnership of 16 countries as an orbital laboratory for long-term research in a micro-gravity environment. It is also hoped that the new Station will become the launching point for future manned exploration of the Solar System, including the development of a Lunar outpost and a voyage to Mars. 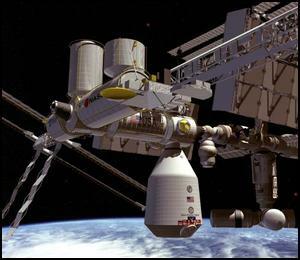 When completed after around 46 flights by the NASA Space Shuttle and Russian Soyuz and Proton rockets, the million-pound (roughly a half million kg) station will have an internal volume of 43,000 cubic feet (over 1,200 cubic meters) which is roughly equal to the passenger cabin volume of a Boeing 747 jumbo jet. 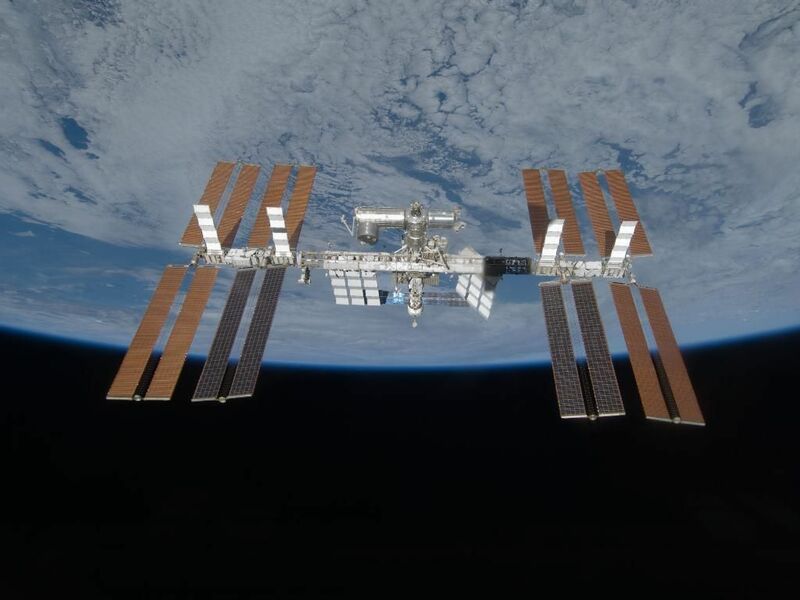 The completed Station will have more than 100 components (including six specialized laboratories) and a long-term habitable capacity of seven, and orbit the Earth at a distance of about 220 miles (354 km). 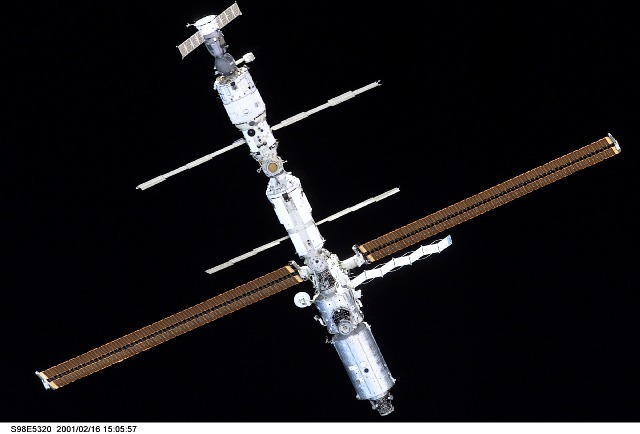 Since the launch of ROSCOSMOS's Zarya Control Module on November 20, 1998, the embryonic station has grown to include the Unity Node for additional module connections, the Zvezda Service Module, Z1 truss structure which contains four gyroscopes, a third Pressurized Mating Adapter to the Unity module, and a Soyuz-TM manned spacecraft and possibly a Progress-M supply craft. On February 10, 2001, the Destiny laboratory (and new, overall station control module with air cleaning functions) was attached (see construction as of February 16, 2001). After a long delay due to Shuttle accidents and malfunctions, the ESA's Columbus Science Laboratory attached on February 11, 2008. Next, the first and second parts of JAXA's KIBO complex was delivered by the Shuttle in March and May 2008. In March 2009, the fourth and final set of full-sized, permanent solar array wings was added to the station to provide sufficient power for a maximum crew of six personnel. Take a virtual tour of the completed Station. On October 31, 2000, a Soyuz rocket was launched from the Baikonur Cosmodrome in Kazakstan with the Station's first three-man crew. 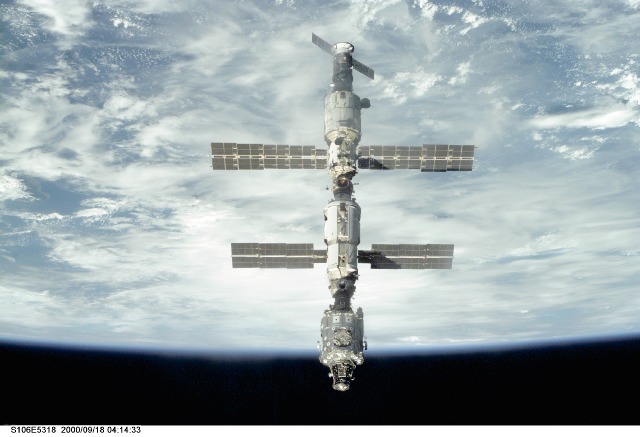 The three successfully entered the Station to start their planned, four-month stay and became part of Humankind's "first permanent presence" in space on Thursday, November 2, 2000. 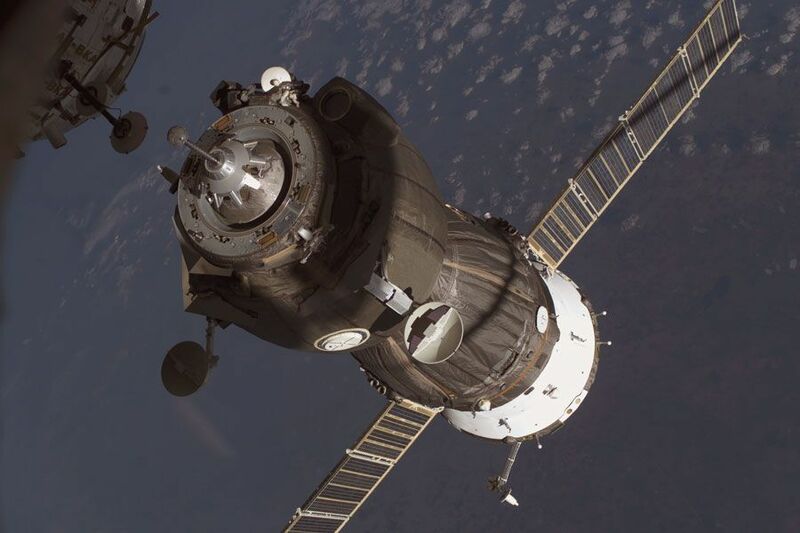 The Soyuz-TM manned spacecraft that delivered the crew will remain with the Station to serve as its first "lifeboat" in the event that an emergency return to Earth is necessary. 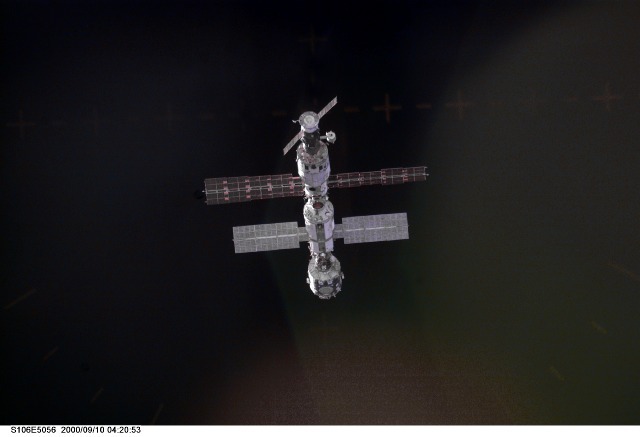 As a result, a Progress-M supply craft attached to the Station was loaded with Station trash, undocked, and maneuvered to burn up in Earth's atmosphere on Wednesday, November 1, 2000. 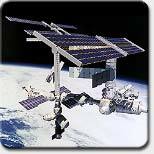 Beginning in April 2008, the ESA began launching Automated Transfer Vehicles (ATVs) as cargo ships for the Station. On September 10, 2009, the Japanese space agency (JAXA) launched its new H-2B rocket carrying the first of new series of unmanned cargo ship (the HTV-1) on JAXA's first annual resupply voyage to the International Space Station. 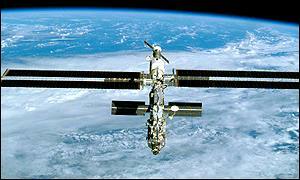 For update-to-date Station information, see NASA's ISS web page. 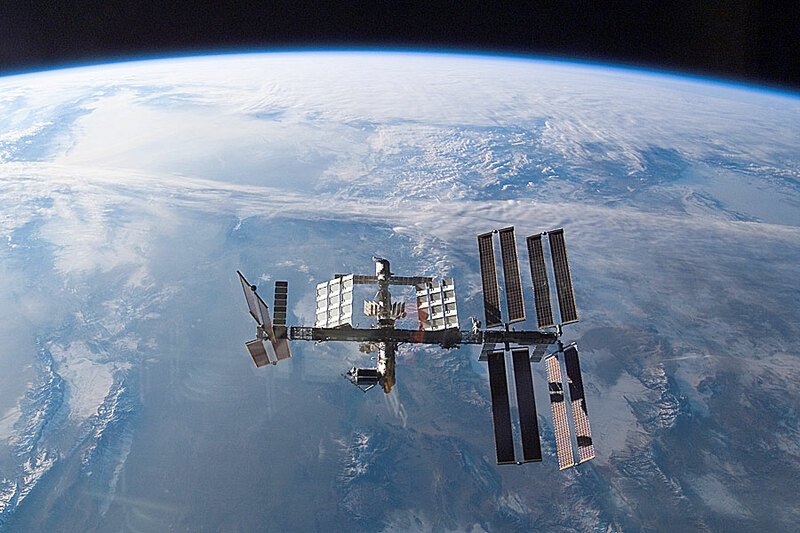 Extensive research will be undertaken on the Station to determine how to help or counteract the ways that Humans and other Earth-type type adjusts to long stays in microgravity habitats. Space vehicles, equipment, and facilities to be used for further exploration, industrial exploitation, and colonization of the Solar System (such as the Mars habitat module depicted below) could also be assembled and tested here. prepared for a mission to Mars. 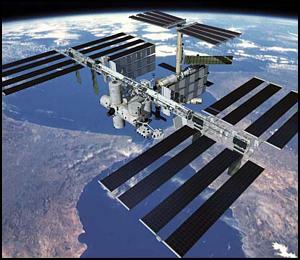 On February 28, 2001, the new President of the United States submitted a budget proposal that directed NASA to cut back the development of the station. 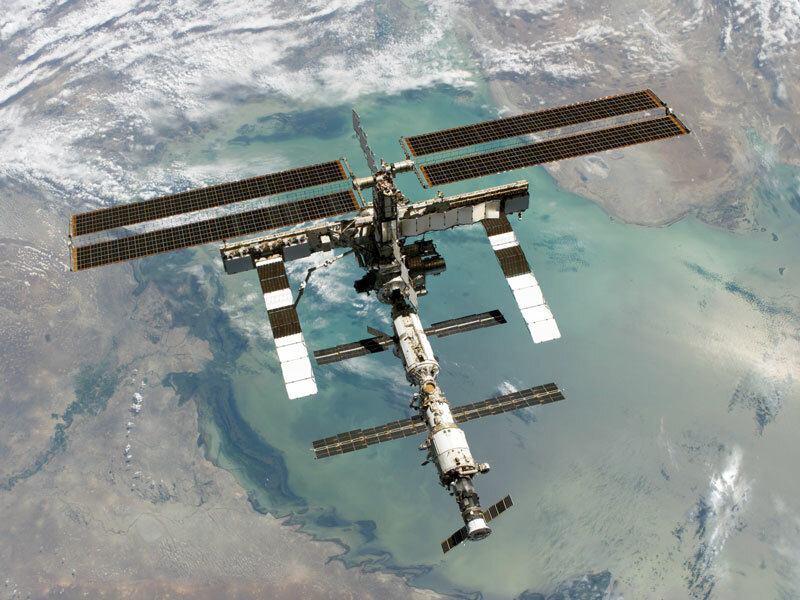 This proposal was made to avoid boosting the station's development budget to accommodate cost-overruns, caused in part by delays in the delivery of Russian station components as well as by problems in U.S. operations. 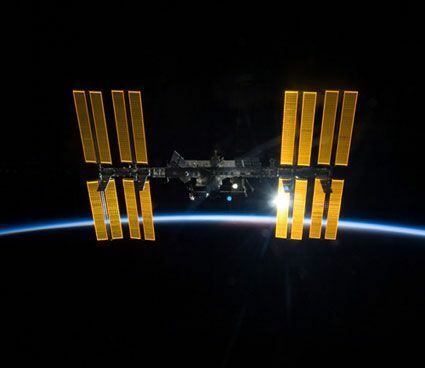 Since the U.S. Congress did not provide more funds than the President's proposal, station personnel was cut from the current capacity of three to two and many of the research projects originally planned were also postponed or eliminated. 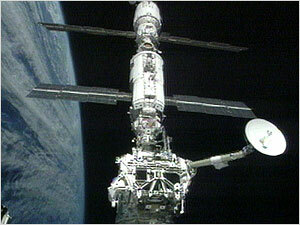 In March 2006, the station crew size was restored to three and is expected to six by April 2009. 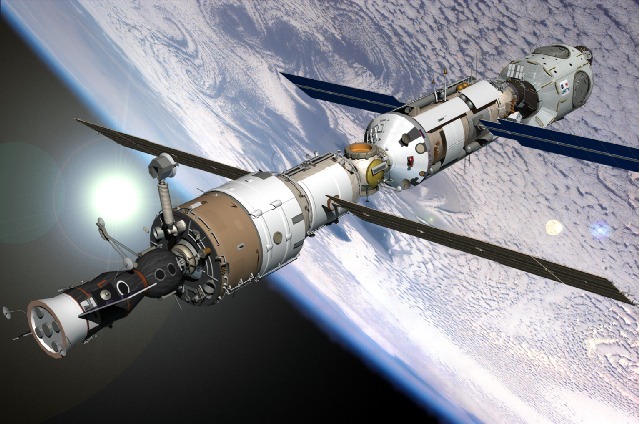 As of March 2008, the projected completion date is set for 2010 with a final crew size of seven, with the station remaining in operation through 2016. © 1998-2009 Sol Company. All rights reserved. SolStation.com and ChView are trademarks of the Sol Company. Any other trademarks appearing on this website are the property of their respective owners. Unless explicitly stated, SolStation.com and the Sol Company do not imply any business relationship with Earth-based institutions.